People tend to think of solar panels as futuristic and impractical, especially given the UK climate, but in fact more and more people are installing them and reaping the benefits. In fact the introduction of the Feed-In Tariffs, whereby home owners receive a payment for every kWh of clean energy they produce, actually means that installing solar panels can now produce a net profit. How Much Will Solar Panels Cost to Install? That depends on the system you install. Systems are measured in kWp. The higher kWp the more energy you will produce but the more expensive it will be. As an example, a 2kWp system will cost around £10,000 to install, whereas a 3kWp system will cost around £13,000. How Much Energy Will Solar Panels Produce? This depends on the type of system and which compass direction the panels face (generally dictated by the way your roof faces). South facing panels are best as these will be exposed to the most sunlight. A typical 3 kWp system installed in the far north of England will produce around 2,300 kWh per year while a 2 kWp system would produce around 1,550 kWh per year. In the far south this rises to 1,850 for a 2kWp system and 2,750 for a 3kWp system. As a rough guide, a “typical” home uses around 3,300 kWh of electricity per year, though obviously this will vary quite a lot depending on the size of the home and of the family. Will Solar Panels Only Produce Energy on Sunny Days? Obviously the brighter the sunlight, the more energy solar panels will produce, and they won’t produce energy at night, but they will still produce a useful amount of electricity on a cloudy day. They work by converting solar radiation, rather than “sunshine” as such. Will I Be Able to Use all of the Energy Produced? It is possible to install additional technology which will store the electricity your system generates in batteries for longer term use; however this will be more expensive. In practice you may find that you use only around 50% of what you produce, however fortunately if you are connected to the National Grid (as most properties are) you will be able to sell energy you don’t use back to the Grid under the Feed-In Tariff Scheme. Of course, if you do more of your tasks which use the most energy during the day, such as using a washing machine or having a bath or a shower, then you will use more of the energy you generate yourself. Could I Get a Grant Toward the Installation Cost? Although a grant scheme was in place, this has unfortunately come to an end, though its replacement, the Feed-In Tariff, which pays you for the energy you produce, is almost certainly more financially beneficial. Could I Get a Loan To Cover the Installation Cost? There are a number of schemes being discussed but for now, if you have enough equity, you may be better to increase your current mortgage. Interest rates are very low at the moment and a mortgage, although riskier because it is secured against your property, will always be cheaper than an unsecured loan. How Much Would I Save in Fuel Bills? As alluded to earlier in this article this depends on quite a number of factors, such as the amount of electricity you currently use, the size of the system you install and the cost of your current tariff, however typically you might expect to produce around 40% of the electricity you need, which obviously means a 40% saving on your annual bill. What is the Feed-In Tariff and How Much Could I Receive? The Feed-In Tariff is a government incentive that pays you for the electricity you produce from renewable sources. For solar panels installed to a typical home which are retro-fitted (i.e. installed after the property has been built) the rate is £0.4130p per kWh of energy produced. Based on the average energy production figures earlier in this article that would equate to a payment of anywhere between £640.15 – £1,135.75 per year. In addition, you could receive an additional 3p per kWh for any electricity exported to the National Grid. These payments are guaranteed for 25 years. Is Installing Solar Panels Cost Effective? Many critics of solar power argue that the installation costs will never be recovered from the resulting savings. This may have been true at one time, but a combination of more efficient systems, rising fuel prices and the introduction of the Feed-In Tariff mean this is no longer the case. Take a typical example of a 3kWp installed in central England. The system would cost around £13,000 and would produce around 2,500kWh of electricity per year. This would generate a Feed-In Tariff payment of £1,032, a payment of perhaps £38 for electricity sold back to the National Grid and a fuel bill saving of around £160 per annum. This adds up to a total benefit of £1,230.00 per annum, which means that the system would pay for itself in just about 10.5 years. 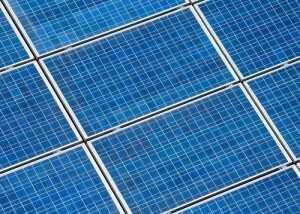 Given that the Feed-In Tariff payment is guaranteed for 25 years and that this calculation doesn’t account for the fact that fuel bills will almost certainly rise at a greater rate than inflation, so that the true fuel bill saving could be much higher, installing solar panels is not only a very safe investment but also a very profitable one, two benefits that rarely go hand-in-hand where investments are concerned! In England you will not usually need planning permission, though you may if the property is in a conservation area. If it is a listed building you will certainly need to enquire about listed buildings consent. In Scotland and Wales you would currently need to apply for planning permission though the rules are currently under review. Solar panels are very low maintenance, and other than occasional cleaning, no maintenance is really required. In fact, they are cleaned by rainfall, so in the UK there should be no problems! Obviously anything can break down and before agreeing to purchase a system you should ensure that you will receive a guarantee and check how long it will be for, and preferably that it is backed by insurance in the event that the company folds. Technology is improving all the time. 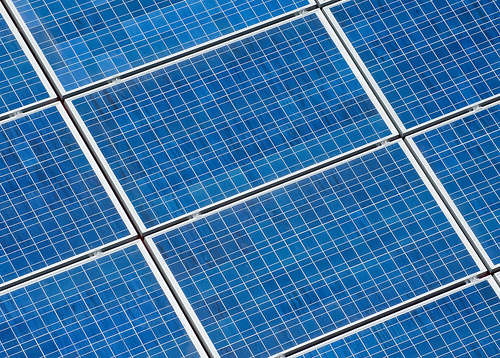 Currently panels are expected to last around 40 years; though the newer they are the more efficient they will be. wow, that is a great solar panel installation tips! On the subject of maintenance – the panels themselves usually have a 25 year warranty and an expected life expectancy of 30 years plus. However the other key component – the inverter – is often overlooked. This has a much shorter warranty period, typically 7 years, and currently costs about £1000. This takes quite a slice from the FIT income although it is to be expected that these items will become more durable as manufacturers received feedback from real service conditions and an increased volume of production allows for more investment in R&D. This is a really good article and goes into great detail. Very often the installation costs and payback are not accurate especially if read from installers or manufacturers site.